Whether you are seeking custom cabinetry, moldings, frames, paneling or desks custom millwork is high quality and reliable. If you are renovating or simply want to update and visually enhance a space, installing custom fixtures can reap a myriad of benefits. A significant advantage is the added value it can bring to your property or business. The benefits of installing custom millwork are plentiful. Not only will you have the opportunity to design your ideal cabinets, but you given additional storage space to utilize and be adding value to the property at the same time. Your options are endless when it comes to designing your cabinets, and you can choose everything from the wood to the design details. 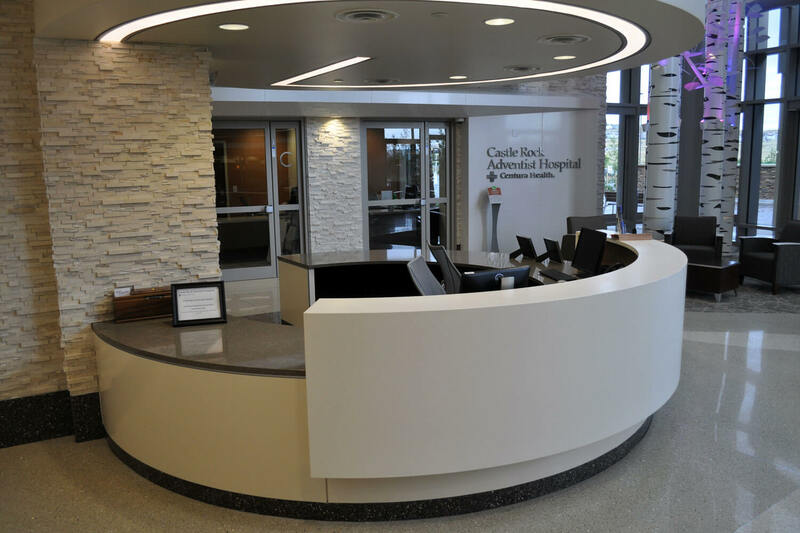 If you own business and want to enhance your customers’ experiences, install custom casework. First impressions are critical and choosing custom millwork over other options will give your store a wow factor and add a sense of sophistication. Shoppers may unknowingly make assumptions about the quality of the products they are buying by how the store itself looks. Having beautifully designed shelves and other pieces will leave a lasting impression on your customers. A talented and experienced company can do much more than cabinets and shelves. A few options for custom casework include reception desks, locker rooms, benches, tables, and even seats. The craftsmanship will shine through no matter which option you choose. Whether you own a retail store, hotel, school, casino, or just want to improve your home, custom fixtures can satisfy your desires. When it comes time to sell your home or retail space, custom millwork will improve the value and attract more buyers. If the cabinets in your kitchen are run down, outdated, or bland, potential customers will view that as a project they will have to conduct after the purchase. Custom Millwork could entice them to choose a house that would not require as much updating and may even cause them to extend an offer below what you are hoping to receive for your home. The kitchen and bathrooms are two key spaces that buyers seek out and directly affect the value of your home. When these areas are visually appealing and customized, it will greatly benefit you when it comes time to sell your home or other space. Installing custom millwork can transform your home or other space and leave a lasting impression on potential homebuyers, guests or customers. Additionally, it can increase the value of a home or other space making it a wise investment. When a potential home buyer sees the design and beauty of custom cabinets, for example, they may be more inclined to make an offer. It would be a smart move to identify those architectural millwork companies in the market that have a dependable team for manufacturing, factory finishing and installing custom architectural millwork and casework. As the modes of construction advance, architectural millwork design and drafting becomes more competitive. The challenge lies in finding a team that can blend the charm of old world craftsmanship with the precision of modern technology. As the industry gears up to meet this growing demand, We hope that key players in the market will take notice of these emerging trends and make the most of the opportunities. Adding elegance as well as beauty to your area helps in attracting the attention of clients. Modernization of offices and commercial property can change the way you operate your business. The simplest and the best way to do so is adding a personal touch to the property with a millwork supplier. When you add style and beauty to your office, it can change the internal work environment and can boost all the factors which are responsible for the success of your business. The appearance of your offices and commercial represents a lot about you. Quality furnishings always win the trust of clients in your business. At the same time well-designed offices often promise better collaboration with other business owners. Custom commercial millwork is available to fit the needs of any business or homeowner.